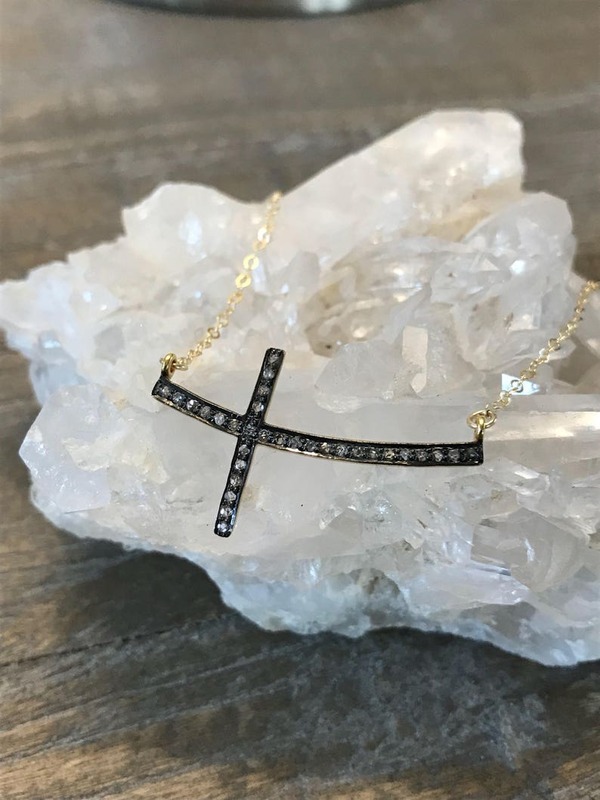 An oxidized sterling silver sideways cross charm with gorgeous sparkling genuine pave-set diamonds is suspended from a delicate flat cable chain in either an oxidized sterling silver or 14k yellow gold fill- you get to choose. 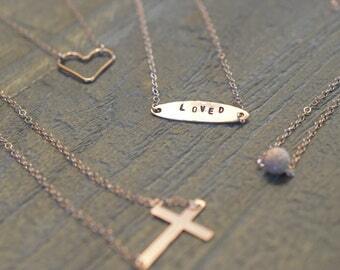 All connections are soldered closed; no worrying of losing your favorite necklace. 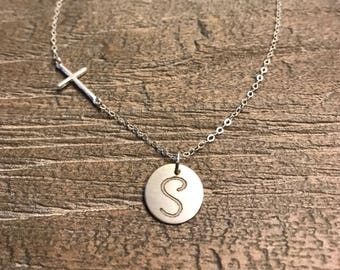 ✦✦All my pieces are carefully handmade using the highest quality sterling & fine silver or gold filled components; NEVER plated! Gold filled jewelry is more valuable and considered heirloom quality and will not tarnish or lose its gold layer, whereas gold plated jewelry will tarnish after extended wear. Gold filled jewelry is a beautiful, affordable alternative to solid gold, and can be usually be worn by people with sensitive skin.